I would like to start off by congratulating Anne Goodwin whose debut novel, ‘Sugar and Snails’ is out today, published by Inspired Quill. 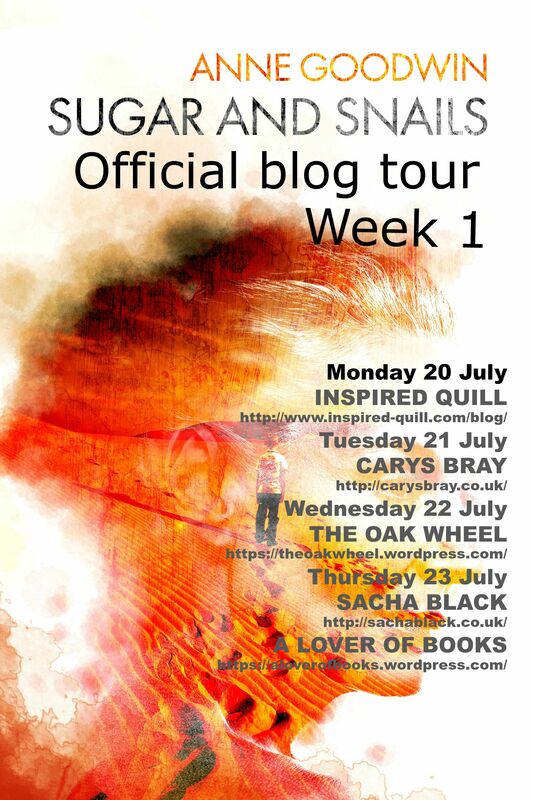 As part of this blog tour I have interviewed Anne. How does it feel to be having your debut novel published? Wonderful – and a bit unreal. It’s taken me a long time to get here but it’s a good place to be. And I’m thrilled, humbled and moved by the volume of support I’ve received from friends and acquaintances both on and off-line. Can you tell me a bit about ‘Sugar and Snails’ please? It’s a midlife coming-of-age story about a woman who has gone to great lengths to safeguard the secret of her past. But it’s entailed a lot of sacrifice: although Diana appears fairly together on the outside, with her own house and a good job, she’s highly anxious and defensive, keeping others at a distance and forgoing opportunities for promotion at work. When, at fifteen, she made her life-changing decision, she was advised to put the past behind her. But, as she discovers, that’s easier said than done, especially after meeting Simon at a dinner party and being assigned a troubled student at work. Sugar and Snails is about friendship, turbulent adolescence and the rocky road to self-acceptance. While Diana’s journey is an unusual one, I think many of us can identify with that struggle to bridge the gap between who we are and who we feel we ought to be. Where did you get the idea from for your book? The novel didn’t come out of one single thing but, looking back, I think there were three sources of influence that somehow came together to make the story. One was the exceedingly long time it took me to understand my own painful adolescence. Another was an interest in hidden vulnerabilities: knowing, from my experience as a clinical psychologist, how high levels of achievement can sit alongside deep levels of distress. A third factor was my curiosity about challenges to the rigidity of the gender divide. I began my initial draft in October 2008, nearly seven years ago. Although I received some extremely encouraging feedback on the early chapters from a critique service, it took me at least another five drafts (how do you measure these things? when does tinkering turn into a new draft?) to get it anywhere near right. Several times I was ready to give up on it completely (which is how I wrote another novel and published several short stories during those six and a half years), but something about the story kept nagging me to have another go. I did a fair amount of reading about the situation Diana faces, including identity issues, medical procedures and the legal framework. But as much as I could, I drew on what I knew already, setting the contemporary strand of the novel in a city where I’d lived for twenty years, and drawing on my knowledge of psychology. Even so, it required a lot of checking back, as well as compromises of the sake of the story. Absolutely! I’m an “it’s personal” as opposed to an “it’s autobiographical” kind of writer although I do, obviously, make a lot of things up. But the only way I could get inside Diana’s situation was to imagine it happening to me. Not that I gave her my own personal history, but hers does feel like a life that, in other circumstances, I might have led. Being published by a very small press no-one’s heard of (well you have now: it’s Inspired Quill), I’m conscious of the need for me to work extra hard to try to bring my novel to readers’ attention. So, thanks to the generosity of the blogging community, my main writing projects right now are guest posts and Q&A’s like this. But on the fiction side, in the next year or so I hope to see the publication of my other novel, Underneath, about a man who keeps a woman imprisoned in a cellar and do a second draft of the novel I began for my non-NaNo project about the secrets uncovered in the course of a psychiatric hospital closure. Where do you tend to do most of your writing? I have a lovely study (ostensibly shared with my husband, although he’s rarely allowed through the door) with a view over our wild front garden. With repetitive strain injury, I dictate with voice-activated software, standing at my desk with my laptop raised to a comfortable height with two box files (very high-tech). What advice do you have for anyone wanting to write their first book? Know whether you’re writing for publication or your own pleasure. Of course they overlap, but the path to publication is strewn with disappointments. You’ve got to really want to do it to make that worthwhile. Which do you prefer: eBooks or printed books? As a reader, printed most definitely. As a writer, with a low-budget publisher, ebooks. Accessible literary fiction with complex characters, high stakes emotionally and a story worth telling. Of course! I’m an avid reader and I learn a lot from just about everything I read, even if it’s how not to do it, but sometimes it’s hard to detect exactly how that influence has shaped my work. One of the lovely things about being published is having others pull out the links with more established authors. One of my early reviewers said she was reminded of Claire Messud’s novel, The Woman Upstairs (which I haven’t yet read, but I know from reviews that I’d like to). 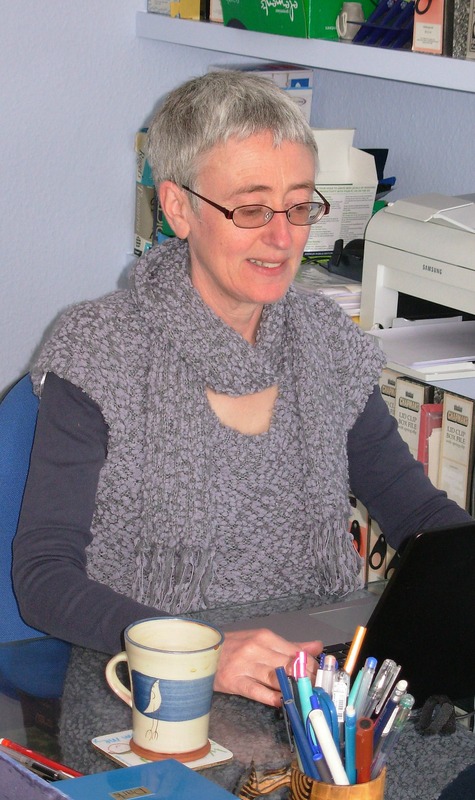 And very early on in my writing journey I was told my style was like Kate Atkinson’s. I’m not complaining about that!